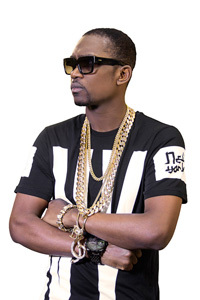 Busy Signal Redefines 'Busy' With Tours, Studio and Foundation! Wednesday September 23rd, 2015 – Kingston, Jamaica -- Multi Genre superstar Busy Signal redefined the word ‘busy’ with an active summer tour schedule, new music releases and the Busy 2020 Helping Hands Foundation. Performing across the Caribbean, the Middle East and Europe, Busy connected with a record number of fans via live performances and extensive media interviews. His August, 2015 appearance in Uganda for the Pepsi Music UG concert saw a record number of fans sell out the Lugogo Cricket Oval in Kampala to hear music from the star. “Being in Uganda, and performing for all those fans was one of the greatest experiences of my career. The people, the fans – everyone showed such love, and that is something I will never forget” said Busy from his recording studio in Jamaica. Musically, Busy has released a record number of singles which have charted in markets around the world. Songs such as “Text Message” (available on VP Records Reggae Gold 2015 compilation), “What If” and “That’s How We Do It” have been radio mainstays, and fan favorites. The artists independent production of the Reggae Rock Riddim on his Turf Music label saw exceptional success especially in Canada, receiving large support from the #1 Reggae radio show, the Delroy G Show heard on G98 FM. “Since the riddim came out in June of this year, there hasn’t been a week that I haven’t played singles from it. Busy Signal is making good music that everyone loves” said the radio host when contacted at the radio station. Near and dear to Busy’s heart is his foundation, the Busy 2020 Helping Hands Foundation. The aim of the organization is to reach children and young people with the aim to tackle issues such as violence, poverty and lack of health care access. Launched in April, 2015, the Foundation has worked with and donated much needed medical equipment to the St. Ann’s Bay Regional Hospital in an effort to make medical access readily available for people in that area of Jamaica.